Braidon Burns has been electric in his first two games of the 2019 season and at a young age of 22 we’re going to name him our Future Star Of The Week. Born in Dubbo, New South Wales, Burns is of Indigenous Australian descent and played his junior rugby league for the Coonamble Bears. In 2015 and 2016, Burns played for the Penrith Panthers’ team. In August 2016, he signed a 2-year contract with the South Sydney Rabbitohs starting in 2017. In round 2 of the 2017 NRL season, Burns made his NRL debut for the Rabbitohs against the Manly Warringah Sea Eagles. 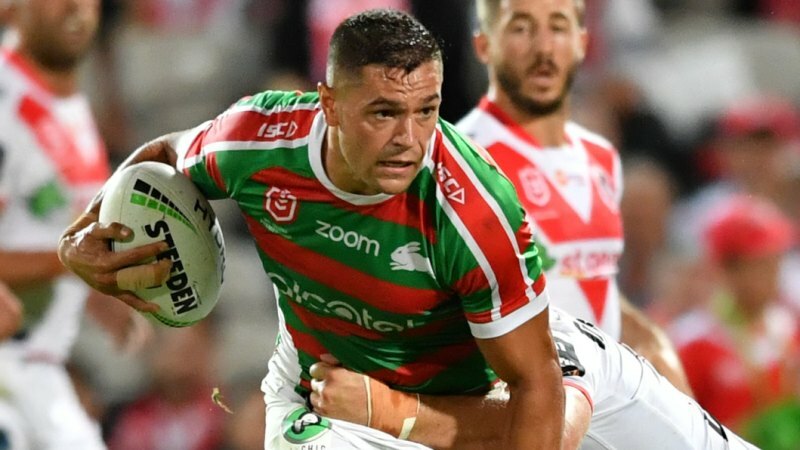 In 2017 burns made the move to the Rabbitohs and made his debut against the Panthers in round 6 but it wasn’t the ideal start for the then 20-year-old after dropping multiple bombs from Nathan Cleary. The 17/18 seasons were up and down for Burns as he was in and out of the team but still showed glimpses of great form. After the first two games of the 2019 season, it is clear to see he will be a force to be reckoned with and we’re sure we’ll be hearing his name for years to come. Stream every game of the 2019 NRL Telstra Premiership Live & On Demand with Kayo. NRL Round 6 Preview: Everything You Need To Know About Your Team’s Chances. Copyright © 2018 The Sporting Base. The Sporting Base is not responsible for the content of external sites. Read about our approach to external linking.